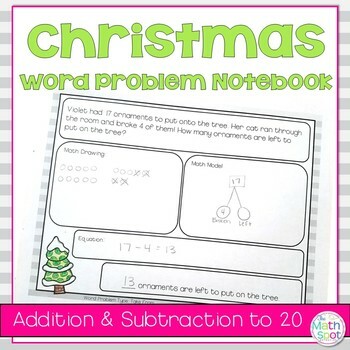 First graders need so much practice with word problems and this Christmas themed addition and subtraction word problems notebook gives them the practice they need. 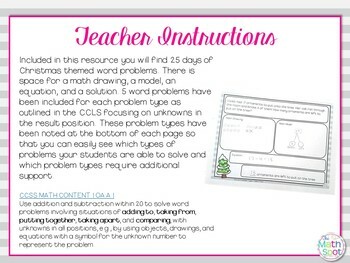 Do one problem each day as morning work, as a warm up to your math block or as a math center. 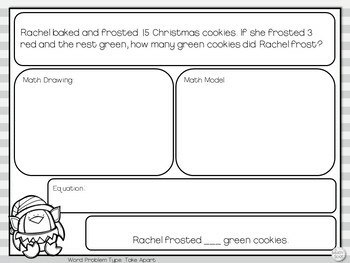 Included in this resource you will find 25 days of Christmas themed word problems. 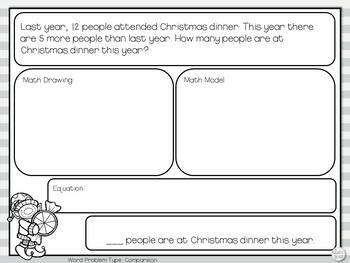 For each day you will find a word problem along with space for a math drawing, a model, an equation, and a solution.